A T4 form, known as a Statement of Remuneration Paid, is a tax slip that will be provided to an employee by an employer. 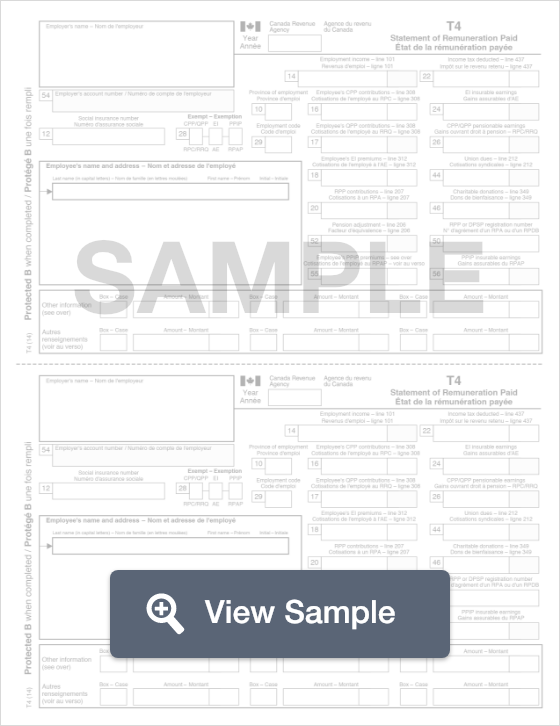 A T4 form is used in Canada for tax filing and reporting purposes. This form is known as a Statement of Remuneration Paid. It is a tax slip that will be provided to an employee by an employer. The form will detail how much income you were paid in the tax year and how much income tax was deducted from the earnings. This form will also be sent to the Canada Revenue Agency, or the CRA. All income from the year will be included on this form. This includes salary, commissions, bonuses, vacation pay, and other income from your employer. If you worked at more than one job in the tax year, you will receive more than one T4 form. At tax filing time, you should receive three copies of each T4 form. You will need to attach one to the federal tax return, one to the provincial or territory tax return, and one is to keep for your own records. You should keep your tax records for at least six years. 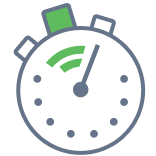 Create a free T4 in minutes with our professional document builder.